If you've never played it, indie darling Minecraft takes place in a world made of blocks. So if you were going to build your own little Minecraft world, well, you'd need some blocks, wouldn't you! 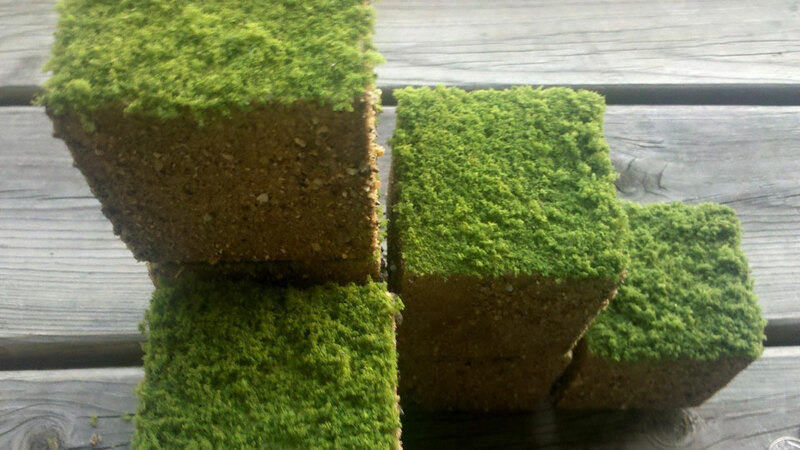 Etsy user Laketide is selling these replica dirt-and-grass cubes to help get your collection (or horribly expensive world-building) started. Available in either 1.5-inch or 2.5-inch size blocks, they're actually made of wood, and are hand-carved and painted to look more earthy. The downside is you can't actually grow grass like that. The upside? They'll never die, won't smell, and will slot together quite nicely without ever needing to be watered! The smaller blocks are $US8 each while the larger ones are $US10 each. Or, for something a little more intimate, for $US15 you can get a 3-inch block with a flip-top lid. And for just $100,000, you could get enough for a small fake lawn. Two and a half metres by two and a half metres.